For the James family, high school photos become really interesting when they are newly discovered photos of Jesse James’ great-grandchildren. The class photos increase in interest when they’re discovered to be provided by a previously unrecognized cousin. In high school in Los Angeles, Don and Diane Baumel both were considered “joiners.” If a group existed, they joined. Years later in 2007, Barbara Clemens, a classmate from their high school class, confirmed the fact. 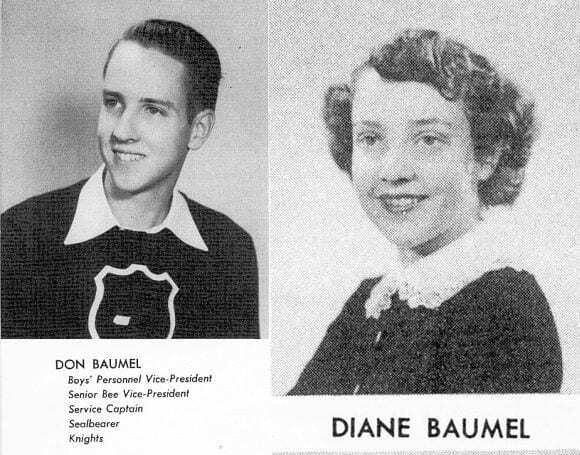 Diane and Don were elected by their classmates and by school faculty to the Ephebian Society, “on the basis of outstanding character, leadership ability, demonstrated service, and high scholastic achievement.” Don was Vice-President of the student body Diane was class President. These class photos are provided by Don and Diane’s classmate, Barbara Clemens, now age 81. Until Barbara provided these images, she did not know herself that she shared a common ancestor with Don and Diane in the famed explorer Daniel Boone, making all three of them cousins. 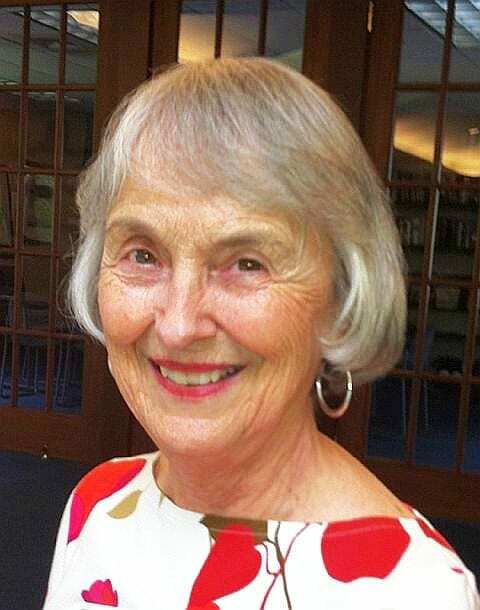 Being a great granddaughter of Daniel Boone, also makes Barbara a cousin to several of Boone’s descendants who also were among William Clarke Quantrill’s Raiders. Those are: John M. Ross, Daniel Boone Scholl and George Thomas Scholl, plus James Overton Hinde and Thomas W. Cassell. Of continuing interest and research is the question of whether Barbara’s ancestry to a Link family also connects her to the Link family of William Link, the owner of Link farm that Jesse and Zee James rented in Waverly, Tennessee, where their children Gould & Montgomery James were born and died. The class photos of Don & Diane no doubt intrigues other James family members who perceive all the common physical features they share with Don & Diane. Notably clear is the single arched eyebrow that continues to plague James women when they do their makeup. Don’s flat sided ear, addressed elsewhere on Leaves of Gas, is an unmistakable James birthmark, as are the clear jawbones, lips, nose, eyelids, forehead, and overall spatial formations. If all this isn’t exciting enough, Barbara’s married name of Clemens also links her husband to the family of Samuel Langhorne Clemens, better known to America as Mark Twain. Previous PostThis map gets you to the Jesse James family ancestral landsNext PostGee, Clell Miller, we hardly knew ya !